Norwich, CT – Dime Bank is pleased to announce the promotion of James Ilch to Corporate Officer and Branch Manager of the bank’s Montville branch office. Ilch joined the Dime Bank team in 2017 as a Universal Banker. Ilch brings over a decade of banking management experience to Dime. Prior to joining Dime, he served as an Assistant Branch Manager at Citizen’s Bank at several locations in the Providence, RI area. He has also held numerous other roles in the banking industry, including Teller Manager, Sr. Business Banker, and Licensed Universal Banker in New London County. Ilch resides in Mystic, CT and earned a degree in Business Management from the New England College of Business in Boston, MA. He formerly served in the United States Navy as a navigation electronics technician. 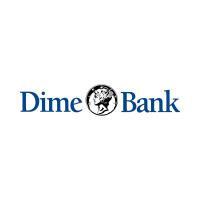 Established in 1869, Dime Bank is a mutual bank with over $817 million in assets and 12 convenient branch locations throughout southeastern and shoreline Connecticut and Westerly, Rhode Island. As a full-service financial institution, Dime offers consumer and commercial banking, home mortgages, trust services, and through Dime Investment Services, a subsidiary of Dime Bank, insurance and investment services – all delivered with a personal touch. BauerFinancial, Inc., a national bank rating firm, recognized Dime Bank, as one of the strongest banks in the nation. For more information about Dime Bank, visit https://dime-bank.com.